Our classic family owned and operated motel & cottage is located in the heart of the world heritage listed Blue Mountains at Echo Point Katoomba. 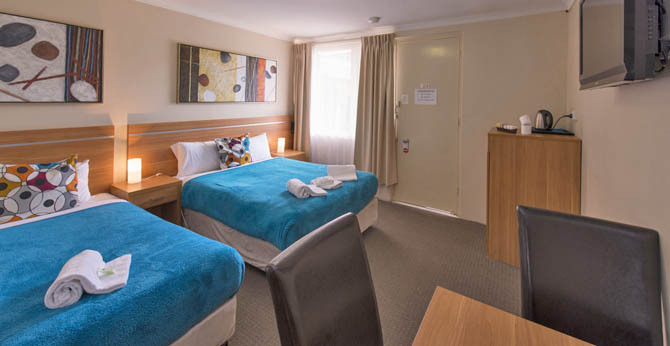 Our AAA Star rated 3½ star Motel provides accommodation within minutes walking distance to all the major scenic attractions for our visitors from around the world and Aussies alike. While staying with us at the 3 Sisters Motel & Cottage let Pat and Debbie and our staff make you feel welcome and attend to all your needs no matter how small, we are all here to make your stay as enjoyable and comfortable as possible. 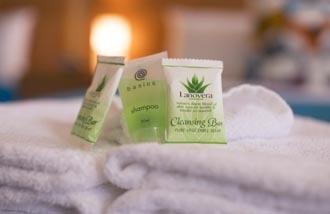 We pride ourselves on the cleanliness of our rooms as stated by previous guest reviews and Star ratings rated our cleanliness at 98% since 2013 to now. 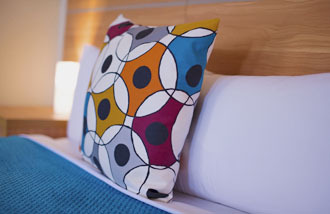 Winner of Australia’s best value Motel by London’s Sunday Times travel magazine and the Sydney Morning Herald, we are the closest Motel to Scenic Worlds skyway cable car and only 400 metres to Echo Point lookout for the world famous 3 Sisters rock formation, with many walking tracks and lookouts nearby we are ideally situated for bushwalking and sightseeing alike. 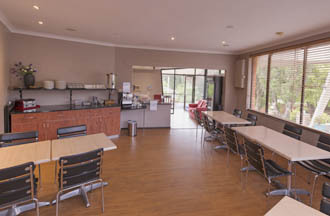 The main shopping Centre, only a 2 minute drive has many restaurants to cater for every different taste, Katoomba railway station, Aquatic Centre, Cinema, Golf courses and the R.S.L Club are all nearby. Breakfast is available in our dining room each morning. 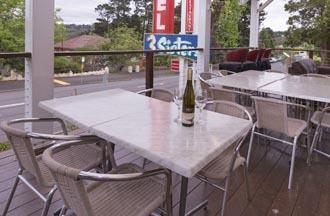 Take advantage of our Verandah View Deck and watch the sun go down while enjoying a drink. Our Cottage has fully functional kitchen facilities available.